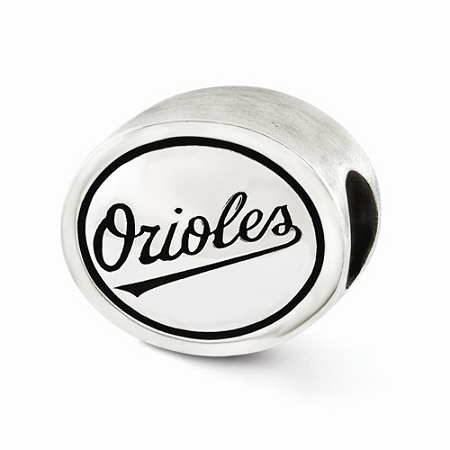 Sterling Silver Antiqued Baltimore Orioles MLB Bead: In length 10 mm and width of 11 mm, bead has thickness of 11 mm. It has opening diameter of 4 mm. It has purity of 925. Antique finish makes it more attractive. Hurry to buy !! !